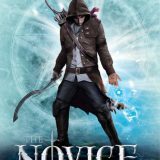 The Novice by Taran Matharu is the first in the Summoner series and one readers will enjoy. From the stunning cover to the supernatural creatures this young adult fantasy delivered. I will warn you the cliffy is draw dropping but I promise this one is not to be missed.